An amazing week.Monday heard from Milton Davis that he is taking "The Price of Kush" for his anthology Griots II: Sisters of the Spear - sword and soul antho whose theme is strong women of colour in or from or around Africa/n settings. Wonderful! "Kush" is 12K words and counting, the research into Kush itself (south of Ancient Egypt, the USSR to Egypt's US, three times destroyed or colonised by Egypt and every time fighting back) not to mention Egypt, was labyrinthine even if fascinating. So much history, over so many years. 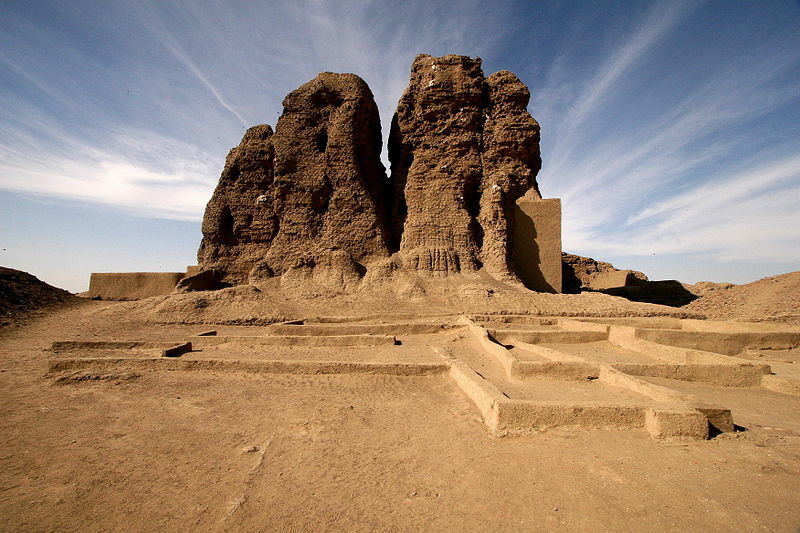 This is the ruin of the great central temple in the city of (probably) Kerma, the capital of the most powerful version of Kush. It was solid brick and huge. Kush even had more pyramids than Egypt at one time, but they had no writing before they were colonised so they vanished from history except from Egyptian perspectives, which were highly hostile - because Kush was the source of all the slaves, soldiers, copper and gold that Egypt depended on, and powerful enough to take over Egypt - and almost did, at least three times, let alone the Kushite Pharaohs who constituted an entire Egyptian dynasty. It was fascinating doing my own version of raising Kush from a name to a reality, however hypothetical. Then on Thursday heard that the editor of another antho, from Skywarriors Press, not only loves but will take - with some emendations toward steampunk and not steamvamp! - "The Honour of the Ferrocarril" the South American story I wrote about a while back here. After no word from the original antho press 6 months and a query down the track, this was a real thrill. Bought a Viking rune for success in Lindisfarne. Maybe it's started to work. Thanx muchly. Well, the research certainly was fascinating - I hope the stories prove so!